How do you respond when a family member speaks harshly to you? When you’re publicly criticized or slandered? When you’re vandalized or abused? Often it’s people we love or those we serve who mistreat us. We all suffer in these ways, especially pastors and others who serve the Lord in ministry. How are we to deal with being criticized or wrongly treated? The way of our world and our own fallen human nature is to react to anger with anger or to be defensive, to ruminate in our heads, or become discouraged. You’ve probably never heard of Nikolai Velimirovi?. I hadn’t either until I came across a prayer of his in Dallas Willard’s Doctor of Ministry class on “Spirituality and Ministry.” What a wonderful treasure this prayer is! and have demolished all my aspirations in the world. and an extraneous inhabitant of the world. where neither friends nor enemies can slay my soul. they have demolished it and driven me out. and have stretched out my hands to the hem of Your garment. in the dreadful web of illusory life. and who has done me more evil in the world: friends or enemies. Slaves curse their enemies, for they do not understand. But sons and daughters bless them, for they understand. For they know that their enemies cannot touch their life. Therefore they freely step among their enemies, and pray to God for them. Jesus’ lifetime of spiritual training and trust in God his Father is what enabled him to bleed out his love for us and for all people, even his enemies. The ancient Stations of the Cross use Gospel passages to bring us the passion of the Christ, the forgiveness of our sins and new life in his name. I invite you to join me in this blessed crosswalk. It’ll shape you to be more peaceful, loving, and powerful like Jesus himself. It’ll show you how you can live your daily life with Jesus in the Kingdom of God. 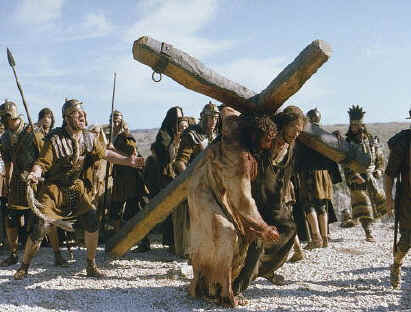 It’s here in my 68-page booklet, Unforsaken: With Jesus on the Stations of the Cross.